disclosure: This post contains an affiliate links, which means Simplified Bee receives commission if you make a purchase using these links. Last week I prepped our dinner table for the holidays, but this week I’m focusing on decorating the outside of our home. 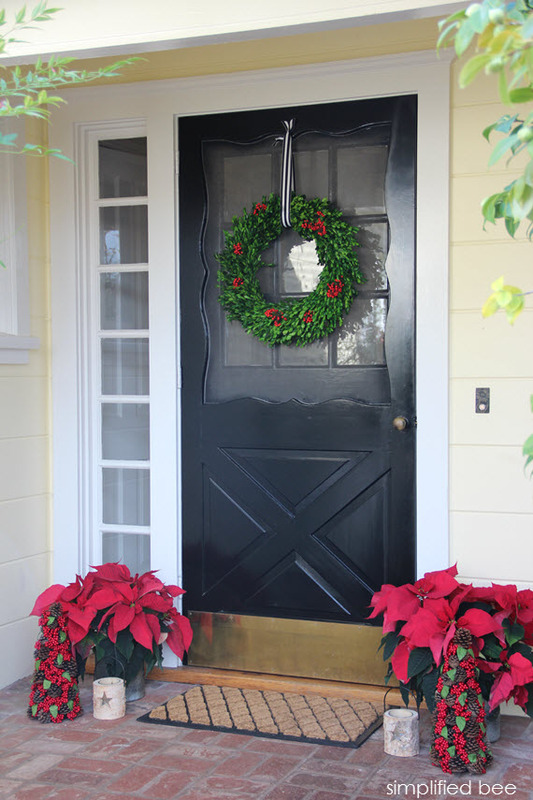 The first step is to create a festive holiday front door. Dressing up the your entry for the season is a great way to greet guests dropping by for celebrations, Christmas parties and holiday visits. With help from Target, I created a traditional Christmas look for our front door. 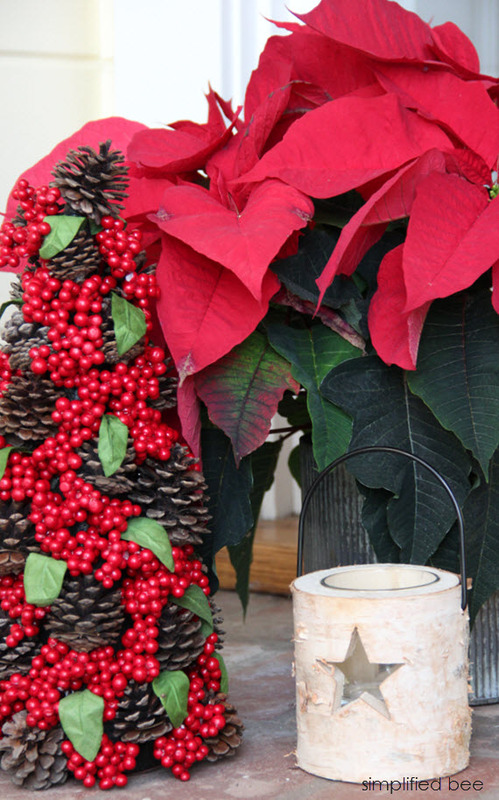 I started by flanking the black front door with red poinsettias, pinecone & berry trees and birch lantern candle holders. 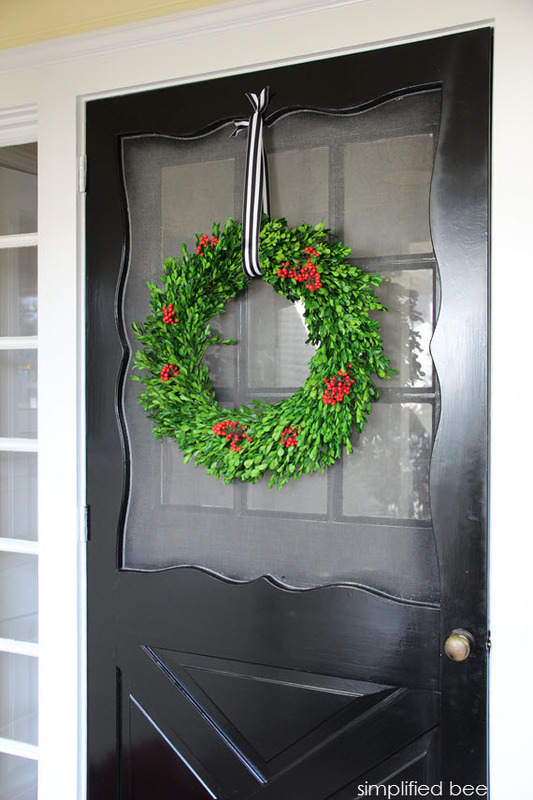 Every door needs a holiday decor and I selected a classic boxwood wreath. I added a traditional black and white striped ribbon and sprigs of live red berries to complete the look. 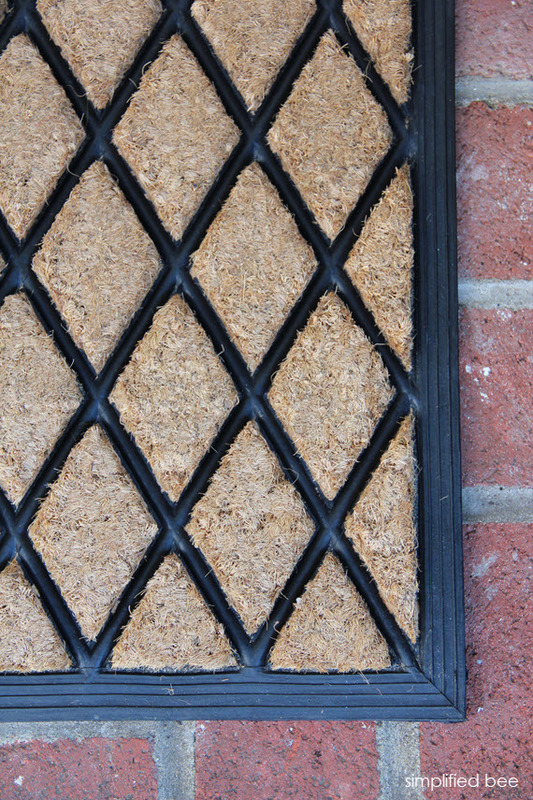 As a finishing touch I selected a fresh diamond door mat. Loving the result! From beautiful wreaths to cheerful door mats, shimmering lights to festive lanterns, Target has what you’ll need to decorate your home inside and out this holiday season. And best yet, at prices that are so affordable it won’t break the bank! The winner will be chosen at random Thursday, December 18 from Rafflecopter and announced on Simplified Bee’s Facebook. ** Target provided merchandise from their store for this post, but my opinions are all my own – as always! Our new bathroom still needed a little styling especially one wall above the toilet. 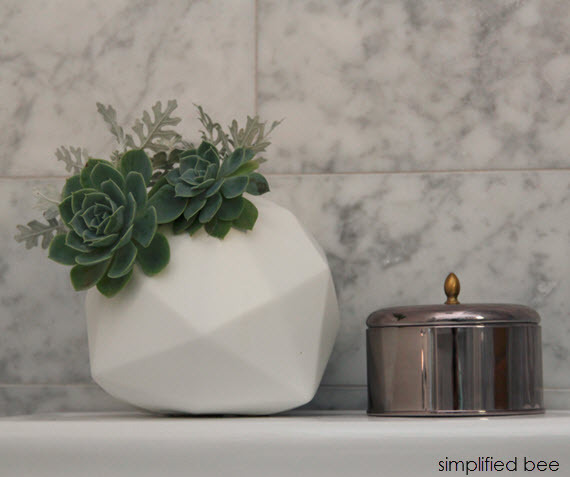 I teamed up with Lulu & Georgia for some super chic decor items for the space. I instantly fell in love with a photograph of a beautiful cactus plant. 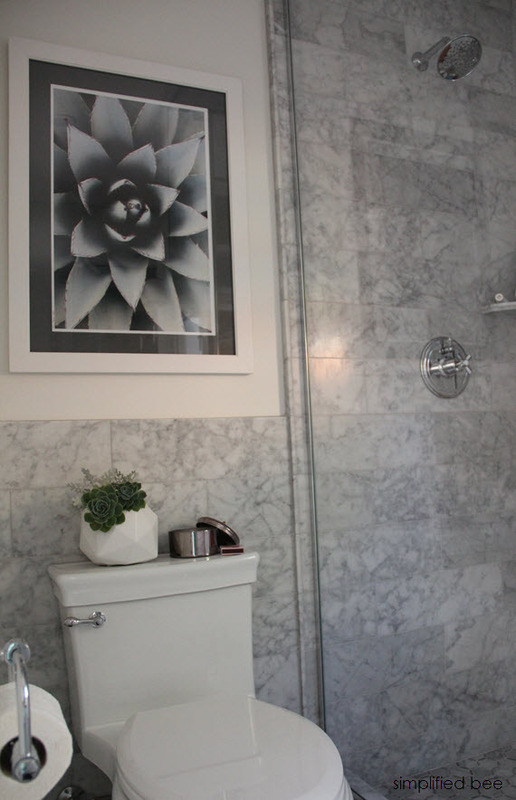 The gray tones and organic pattern look amazing with the marble tile. Love it! I also spotted the Retrograd Vase and liked it’s mid-century modern vibe. I filled it with succulents from my garden for a pop of color. 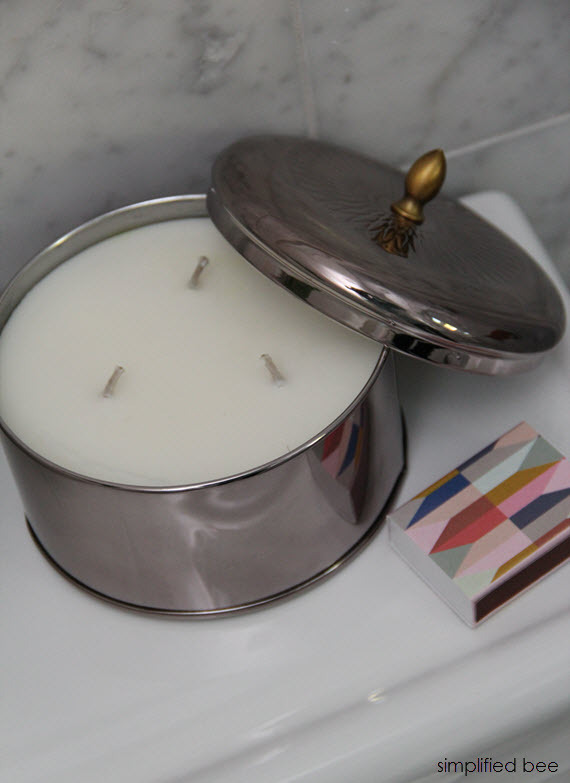 To finish out the look, I selected a three wick candle housed in a timeless tin with a metallic knob. The cedar with scent with hints of vanilla is amazing. Every bathroom needs a candle like this – and don’t forget to pair it with an adorable matchbox like this! And for a limited time, grab some for yourself at 20% OFF at LuLu & Georgia using discount code: BEE20 (expires 10/22/14). The winner will be chosen at random Tuesday, October 22 from Rafflecopter and announced on Simplified Bee’s Facebook page the following day. * this post was sponsored by Lulu & Georgia, but all opinions are my own (as always). Downsizing yet, not wanting to part with family keepsakes and furniture? Overflowing with must keep documents or books? Simply in transition and need temporary storage? Whatever the reason, extra storage space is often times a necessity in getting organized. However, handing over your precious collections, heirloom furniture and cherished books to just any storage company can be a costly mistake. 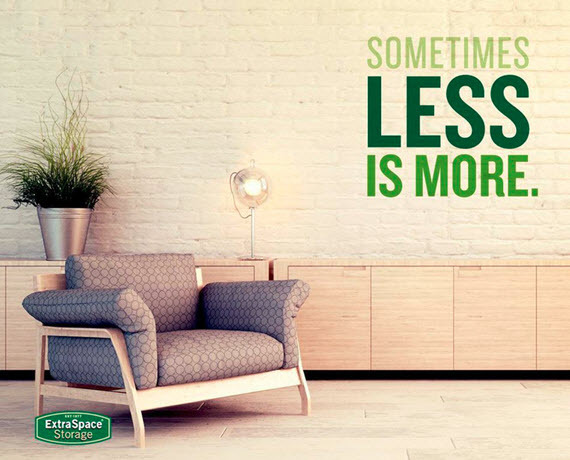 That’s why I was thrilled to learn about Extra Space Storage and how they pride themselves at being the best in four different areas – customer service, cleanliness, convenience and security. With 1,000+ facilities and 25+ years in the business, their mission is clear – to make the self storage experience as convenient and hassle-free as possible. The folks at Extra Space take the business of storing people’s belongings, keepsakes and memories very seriously. Which is why their facilities implement the highest security technology, perimeter fencing and the majority have a manager that lives on site. They even have climate controlled units available for those family photos, antiques and artwork you want to preserve. One entry per person. To be eligible, entrants must submit a photo of their well-organized space with the hashtag #ESSandsimplifiedbee, like Extra Space on Facebook and follow Extra Space on Twitter. Entrants must be a legal resident of the United States and at least 18 years old. Contest begins October 7, 2014 and ends October 14, 2014 at 8pm PST. 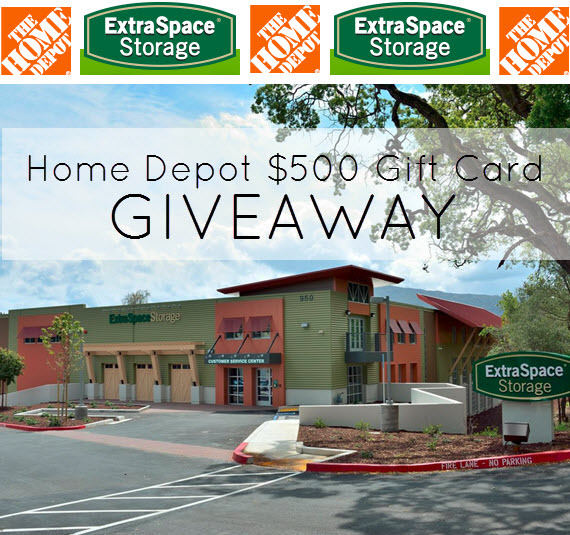 After the deadline, Extra Space Storage will select one winner out of all eligible entries in its sole and exclusive discretion. The winner will be notified by email and announced on Simplified Bee’s Fan Facebook Page. The prize will be mailed to the winner within thirty (30) days of being selected. 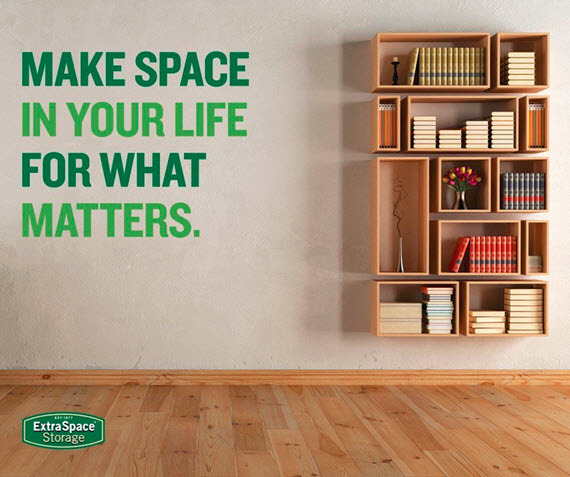 Extra Space Storage is not responsible for late, lost, or incomplete entries. Extra Space Storage reserves the right, in its sole discretion, to cancel, modify or prematurely conclude the contest for any reason. *disclosure: this post was sponsored by Extra Space Storage, but all opinions are my own (as always). As you know, I’m a Zevia fan. So when I was asked to participate in their #ZeviaStyle campaign and show how Zevia fits into my unique style. I was pleased to do so. Zevia would like to see what makes you an original too and are currently running #ZeviaStyle contest that anyone can enter. It’s really quite simple. Zevia would like you to snap a picture of your unique style – think fashion, parenting, entertaining, cooking/baking, home decor, etc. 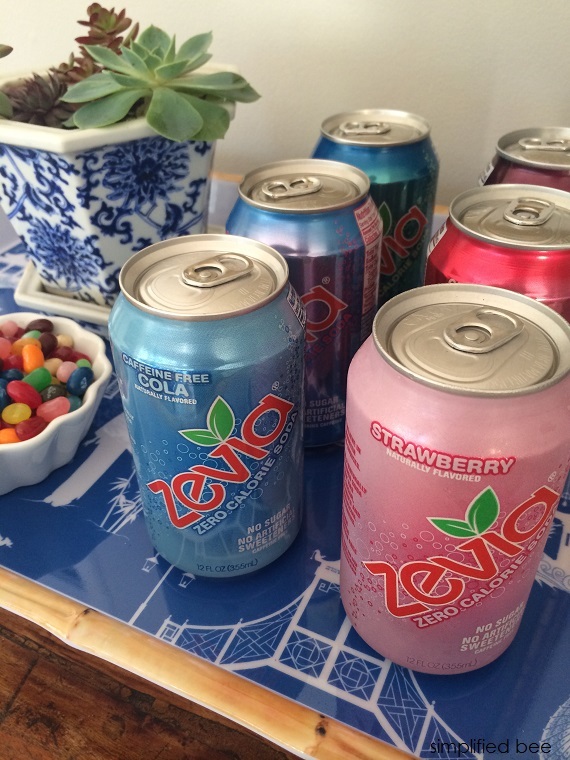 and post it to Twitter or Instagram using #ZeviaStyle and you will receive a free 6-pack of Zevia. In addition, you are eligible to win a $100 Target gift card or other oodles of other fabulous prize handed out daily until September 5th. All pics will be curated in a style gallery and if you need more inspiration head here! • Anyone can enter. To qualify, please post to Instagram or Twitter, follow Zevia on the platform you post to, and use the #ZeviaStyle hashtag in your post. • Everyone who posts a #ZeviaStyle pic will receive a free six pack. Additional prizes will be given daily including $100 Target gift cards. Can’t wait to see your #ZeviaStyle.